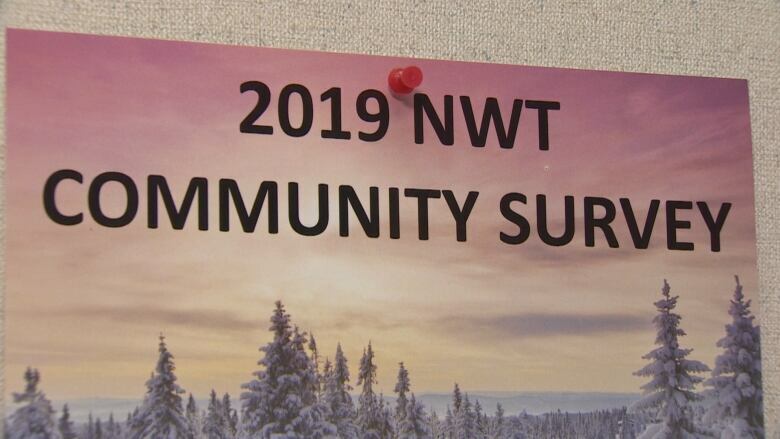 The 2019 NWT Community Survey will ask residents about housing conditions, employment patterns, and education levels, among other things. It's that time of decade again in the Northwest Territories: survey time. Starting this week, interviewers will be deployed across the territory for the 2019 NWT Community Survey. Vishni Peeris, a statistician for the territorial government, said in an interview on Monday that interviewers will collect a variety of information, including language use, employment patterns, education levels, and participation in traditional Indigenous activities. Dating back to 1984, the survey is conducted every five years. Peeris said there have been a few tweaks to the survey this time, mainly regarding questions about housing. "This survey has a very large housing component that is designed to correspond with a big survey that's being done by Statistics Canada across Canada looking at housing conditions," Peeris said, referencing the federal organization's Canadian Housing Survey. Interviews for the territorial government's survey will finish around the end of March. Samples will be taken from the most populous communities: Behchoko, Fort Simpson, Fort Smith, Hay River, Inuvik and Yellowknife. Except for Behchoko and Fort Simpson, letters will be mailed out to give the selected respondents the option to complete the survey online. Elsewhere, responses will be collected via door-to-door canvasses. Residents can refuse to participate and not be penalized, but Peeris said the hope is that people will complete the survey. Federal housing strategy won't lead to more public housing units in N.W.T. "It's really important. We need their information to be able to produce statistics for the Northwest Territories," Peeris said. For a household with two adults and two children, the survey should take about 30 minutes to complete. A "good portion of the data" is expected to be released to the public around the end of October or the beginning of November. The rest is expected to be released in March, 2020, Peeris said. The information released will not be traceable to the person who provided it, she said.